Fact – in 2019, responsive website design is one of the most important features to consider for your school website. Aside from hugely benefiting your search rankings in Google, a responsive website means that your site will be genuinely useful to parents and teaching staff when they view it on their mobile phone. At Cleverbox, we spend a great deal of time reviewing the statistics of the school websites we manage, comparing those who do and those who don’t have a responsive school website. In almost every case we can see a marked difference in the number of website visitors by device. 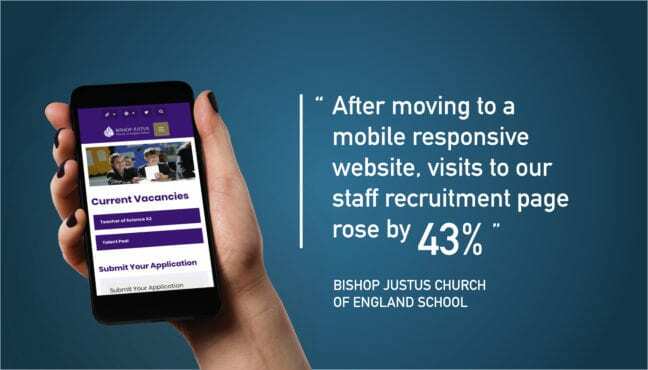 Unresponsive school websites often see fewer than 1 in 5 visits from mobile phones, whereas those sites that work well on mobile can see up to half their visits taking place on phones! The concept of responsive website design was initially seen in 2001 when Audi became the first website to adapt its website layout based on the width of the browser. The term ‘responsive web design’ officially came to prominence from the publishing of Ethan Marcotte’s essay ‘Responsive Website Design’ in May 2010. Marcotte challenged that websites couldn’t keep producing various versions of themselves for different devices and presented the idea of a website that was responsive in design regardless of the platform/device it was being displayed on. Marcotte’s vision changed website design forever. In 2019 responsive website design has never been more important, with traffic from mobile devices now making up over 50% of global website traffic. With this in mind websites now place more value on the importance of responsive design as users become less patient with older, less functional websites and search engines begin to give preference to websites incorporating the more modern functionality. This was true about five years ago. Nowadays responsive website design is accessible for everyone and is incorporated as standard into most website re-builds. 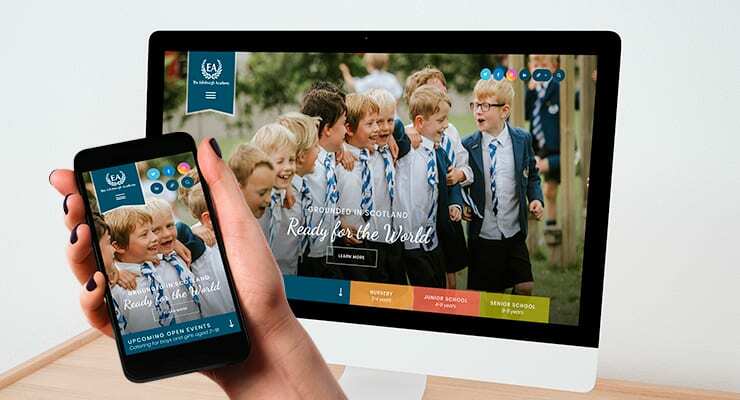 When working with existing clients to upgrade their existing Cleverbox school website to a responsive site, we offer various cost options to suit each school’s budget. The process is seamless because we help schools with the migration of their existing content and support them to generate new content for their new responsive site. We usually encourage schools to make use of our photography service to update their images too, as it’s so important to present strong imagery on a school website across all devices. In the past many organisations had two websites to manage, one for mobile and one for desktop. Responsive design saves you time as you’ll manage just one website from one school website content management system (CMS). As well as saving you time, responsive design does not limit the desktop design functionality at all. In fact, it allows you to create beautiful school websites with fluid layouts that can incorporate video, social media feeds and interactive features on your website. View a great example of a state secondary school who have recently upgraded to responsive school website design. It is true that a visually attractive website is a key benefit of responsive design. However, the benefits go much deeper. A responsive school website can help you promote your school to a wide audience using features that aren’t available on desktop websites. Even more importantly, some functionality that exists on old desktop websites will soon no longer be supported, meaning your website may not work as expected. 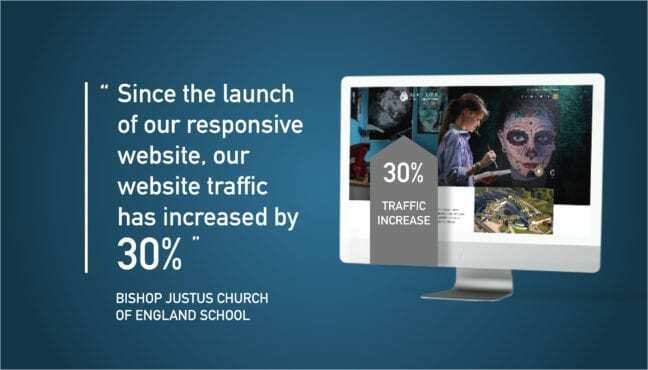 For example, the news that the Flash plug-in will be discontinued in 2020 means that many schools and businesses now have a deadline by which they must upgrade to a responsive website. There’s little their existing website provider can do because Flash is a third party plug-in that was included on most old desktop websites. But the world of technology has moved on considerably and new functionality has rendered Flash redundant – and soon to be extinct. 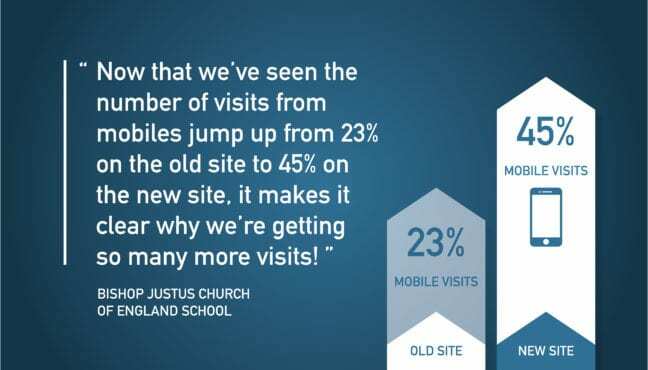 A big benefit we’ve observed in many schools who have upgraded to a responsive school website, is a big increase in the number of visits to their website, not just on mobile phones, but overall. The main reason for this is because a responsive website is SEO friendly, so your school will naturally appear higher in Google, meaning more people will see you and visit your site. The mobile revolution is here! While desktop websites held the crown for many years, we are now seeing a momentous shift to people using mobile phones for more considered tasks such as booking holidays, enquiring about services or applying for jobs. How Can A Responsive Website Help My School? As the shift to mobile continues, parents and prospective students may be using a mobile phone or tablet when downloading your school prospectus. Make it easy for them to find the prospectus and create the optimal experience for them when viewing it. Recruit the best staff members. More and more potential staff are applying for jobs via their mobile phone. Allow them to perform previously fiendish tasks on a mobile device such as filling out forms and uploading CVs and cover letters. An Ofsted inspector or parent is frantically looking for an important form on your website whilst on the go. Make their experience as user-friendly as possible! A busy parent is trying to decide between two schools by viewing their websites on a mobile phone. Your website is unresponsive so is really unwieldy to use and they can’t find the information they need to help with their decision. They abandon your site and focus on the other school simply because it’s easier to use their website. Why choose Cleverbox For A Responsive School Website? At Cleverbox we are passionate about user experience and ensuring your school website is easy to find, seamless to use and beautifully designed. Talk to our team today to learn more about responsive website design and how it can benefit your school. If you’re busy but want to schedule a callback, choose a date and time that suits you and we’ll give you a ring. Meet our friendly team of account managers here.